Station manager: Lisa Stinn. For more information about the Taber station, please contact Lisa at (403) 223-4626 or . Typical commercial crops in the area include small grains (wheat (spring and winter), durum, oats and barley), seed and commercial canola, sugar beets, potatoes, sweet corn, processing peas, dry beans, lentils, chickpeas, flax, safflower, onions, forages (alfalfa and timothy) and other specialty crops, including coriander, mint, dill and other herb/spice crops. Other crops can be grown for experimental purposes. 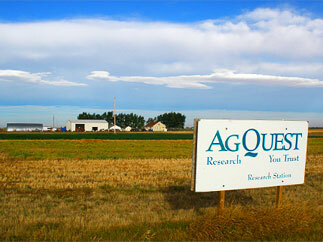 Irrigation – irrigation is available for all trials conducted at the Taber station. Please specify your irrigation needs with the Project Coordinator when discussing your trial needs.